I knew I would find unique and colorful buildings in La Paz. I knew that I would also find friendly people, amazing food, and gorgeous vistas. I had traveled to Mexico enough times in the past to know that I would find a culture that is somehow both exciting and relaxing at the same time. What surprised me during our recent, brief trip to La Paz, was the quantity and quality of artistic expression that we found throughout the city. As I wrote about in my last post (here), art was abundant and took many different forms, including colorful murals, paintings and pottery, signage, and sculpture. In my first post about our trip, I shared pictures of some of the many murals we saw as we walked around the town. 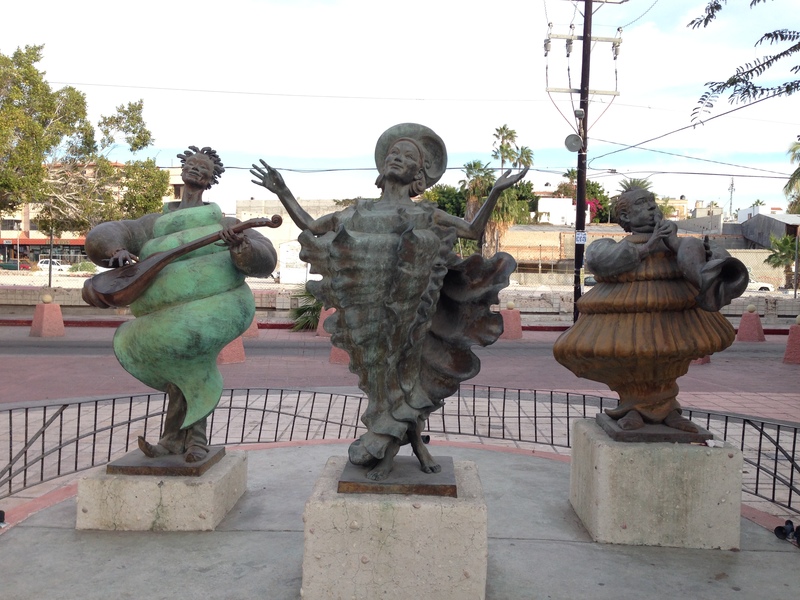 Now, in parte dos, you will see some of the wonderful sculptures we found. Whimsical seashell musicians joyfully play their music in a downtown plaza. 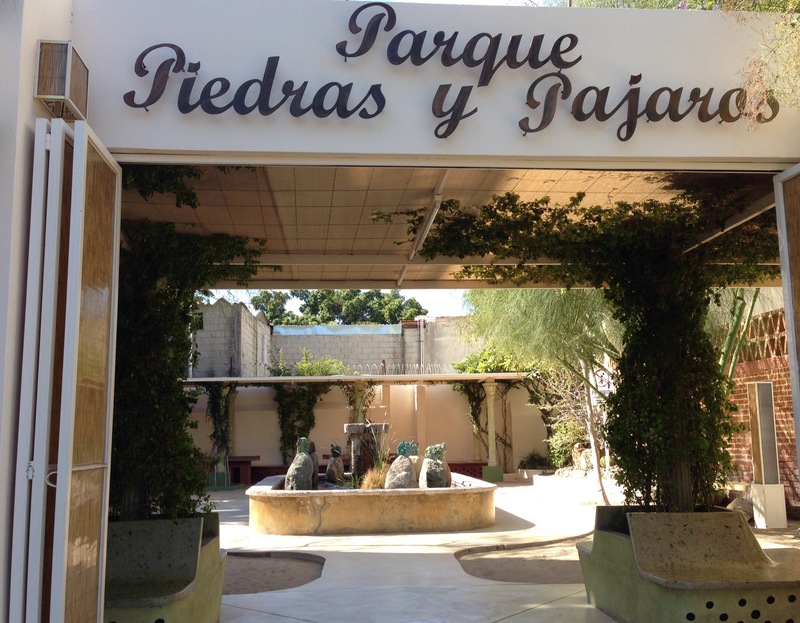 We found this pocket park several blocks inland as we searched for a recommended restaurant. 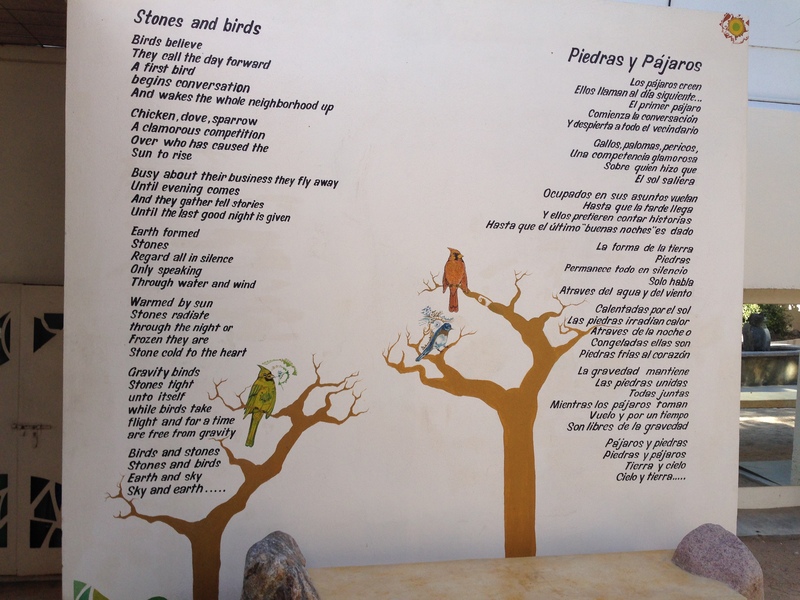 The park, called Stones and Birds, takes its name from a poem that is written and illustrated on one of its walls. 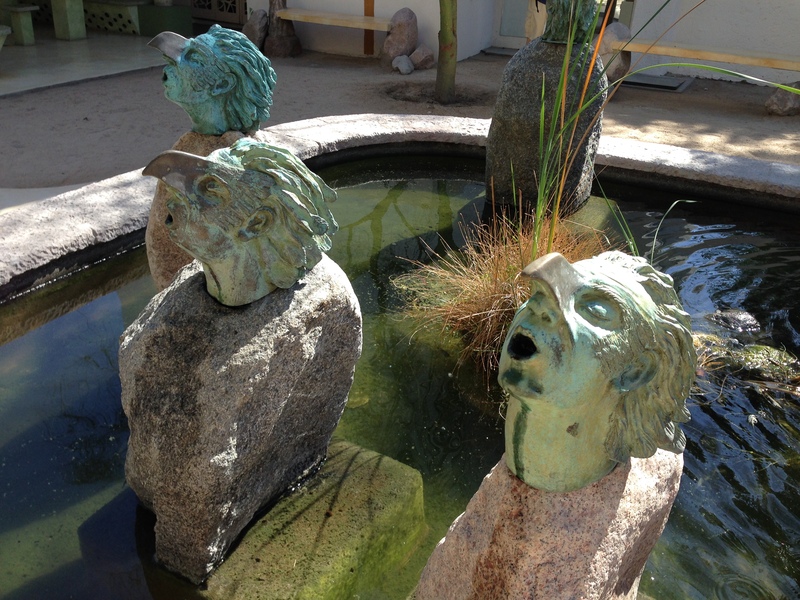 The heads of the fountain’s sculptures are half men/half birds, with bodies of stones. The expressions and detail of the faces was exquisite. These are exquisite, Janis. Thanks for sharing more of your vacation. Now I really want to go! Great, I hope you do! I really like all of those sculptures! They were so whimsical and well done. Beautiful! 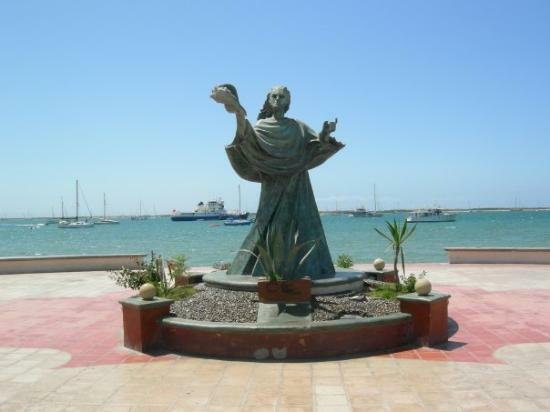 The sculptures remind me of those in Puerto Vallarta, but I think much nicer. Great pictures, and it looks like a really incredible vacation. Thank you for posting these. 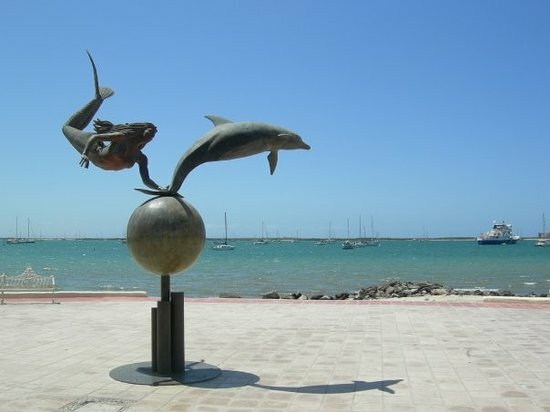 I remember the ones in Puerto Vallarta along the malecon… really nice but I don’t recall them having a sense of whimsy like these have. Perhaps I need to go back to PV and check to make sure. I just love the whimsical quality of their art. My only trip to Mexico was to Acapulco years ago and I don’t remember seeing any artwork like this. So much fun! 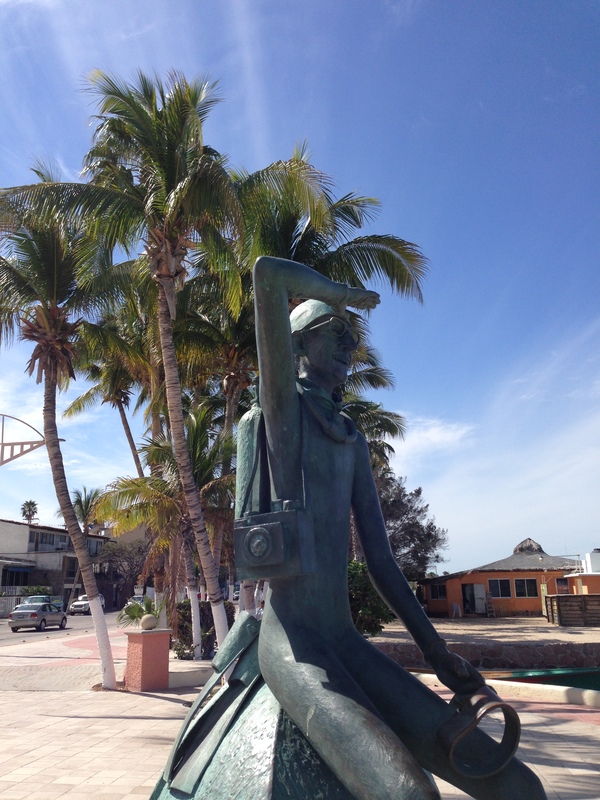 I don’t remember seeing these types of sculptures in Acapulco either. But, we were there just for a day as part of a cruise stop. So neat!! Next time we head that way I will have to contact you for where these are. Thanks for sharing! I can also recommend some great restaurants! Especially love the dolphin and the mermaid! I loved that one too. So playful!